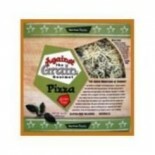 Attributes: Kosher, Natural or Organic IngredientsIngredients: Organic Tomatoes, Organic Wheat Flour, Organic Cornmeal, Filtered Water, Part Skim Milk Mozzarella Cheese, Extra Virgin Olive Oil, Goat Cheese, Expeller Pressed High Oleic Safflower Oil, Organic Evaporated Cane Juice, Organic Green Onion.. 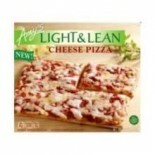 Attributes: Natural or Organic IngredientsIngredients: Organic unbleached wheat flour with organic wheat germ and organic wheat bran, filtered water, organic tomatoe puree, mozzarella and parmesan cheeses (pasteurized part skim milk, culture, salt, enzymes (without animal enzymes or rennet), fontin.. 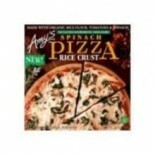 Attributes: Natural or Organic IngredientsIngredients: Organic unbleached wheat flour with organic wheat germ and organic wheat bran, filtered water, mozzarella and parmesan cheeses (pasteurized part skim milk, culture, salt, enzymes (without animal enzymes or rennet), organic cream, organic spinach.. 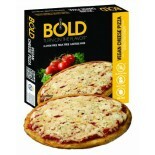 Attributes: Natural or Organic IngredientsIngredients: Part skim mozzarella cheese (without animal enzymes or rennet), organic rice flour, organic tomato puree, filtered water, organic sunflower seed meal, organic tapioca flour, organic potatoes, organic extra virgin olive oil, honey, sea salt, or.. 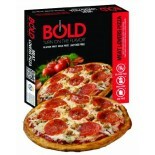 Attributes: Kosher, Natural or Organic IngredientsIngredients: Organic whole wheat and organic wheat flour with organic oat bran and wheat germ, organic tomato puree, part skim mozzarella cheese, filtered water, organic extra virgin olive oil, expeller pressed high oleic safflower oil, organic basil.. 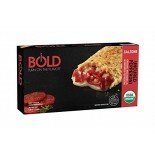 Attributes: Cholesterol Free, Gluten Free, Natural or Organic IngredientsIngredients: Part Skim Mozzarella Cheese (without animal enzymes or rennet), Organic Rice Flour, Organic Tomato Puree, Filtered Water, Organic Sunflower Seed Meal, Tapioca Flour, Organic Potatoes, Organic Extra Virgin Olive Oil.. 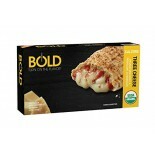 Attributes: Contains Refined Sugars, Kosher, Natural or Organic IngredientsIngredients: Organic unbleached wheat flour with organic wheat bran and organic wheat germ, filtered water, organic tomato puree, part-skim mozzarella and parmesan cheeses (pasteurized part-skim milk, culture, salt, enzymes [.. 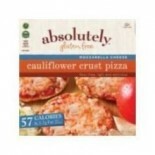 Attributes: Kosher, Natural or Organic IngredientsIngredients: Organic Unbleached Wheat Flour With Organic Wheat Bran, Organic Tomatoes, Filtered Water, Whole Milk Mozzarella Cheese, Organic Extra Virgin Olive Oil, Parmesan Cheese, Organic Honey, Basil, Sea Salt, Expeller Pressed High Oleic Safflowe.. 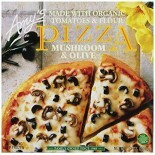 Attributes: Natural or Organic IngredientsIngredients: Organic Wheat Flour with Organic Oat Bran, Organic Wheat Germ, Filtered Water, Part Skim Mozzarella, Organic Jack Cheeses, Organic Tomato Puree, Mushrooms, ORganic Extra Virgin Olive Oil, Black Olives, Organic Honey, Sea Salt, Expeller Pressed H.. 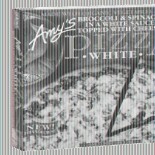 Attributes: Natural or Organic IngredientsIngredients: Organic Wheat Flour with Organic Oat Bran, Organic Wheat Germ, Filtered Water, Organic Tomatoes, Part Skim MOzzarella CHeese, Organic Broccoli, Organic Basil, Extra Virgin Olive Oil, Honey, Sea Salt, Parmesan Cheese, Expeller Pressed High Oleic .. 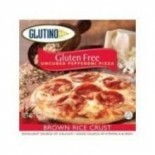 Attributes: Gluten Free, Kosher, Natural or Organic IngredientsIngredients: GLUTEN FREE CRUST (WATER, ORGANIC BROWN RICE FLOUR, ORGANIC TAPIOCA STARCH, MODIFIED rICE STARCH, YEAST, ORGANIC OLIVE OIL, ORGANIC WHEY POWDER, ORGANIC CANE SUGAR, SEA SALT, XANTHAN GUM, CALCIUM SULFATE), ORGANIC TOMATOES, .. 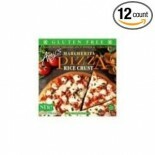 Attributes: Gluten Free, Kosher, Natural or Organic Ingredients, Wheat FreeIngredients: ORGANIC RICE FLOUR, FILTERED WATER, PART-SKIM MOZZARELLA CHEESE (PASTEURIZED PART-SKIM MILK, CULTURE, SALT, ENZYMES [WITHOUT ANIMAL ENZYMES OR RENNET]), ORGANIC TOMATO PUREE, ORGANIC SUNFLOWER SEED MEAL,ORGANIC S.. Attributes: Cholesterol Free, Dairy Free, Lactose Free, Natural or Organic IngredientsIngredients: Organic Wheat Flour with Organic Oat Bran, Organic Wheat Germ, Organic Onions, Filtered Water, Artichokes, Extra Virgin Olive Oil, Organic Roasted Red Peppers, Organic Tomatoes, Organic Shiitake Mushro.. 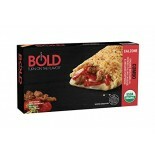 Attributes: Cholesterol Free, Lactose Free, Natural or Organic IngredientsIngredients: Organic Wheat Flour with Organic Oat Bran, Organic Wheat Germ, Filtered Water, Mozzarella Style Soy Cheese (Tofu (Filtered Water, Organic Soybeans, Calcium Sulfate), Caseinate- a milk derived protein, Expeller Pre.. 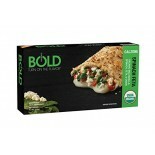 Attributes: Natural or Organic IngredientsIngredients: Organic Wheat Flour With Organic Oat Bran And Wheat Germ, Filtered Water, Organic Tomatoes, Part- Skim Mozzarella Cheese*, Organic Spinach, Extra Virgin Olive Oil, Feta Cheese*, Organic Onions, Organic Tofu(Filtered Water, Organic Soybeans, Niga.. 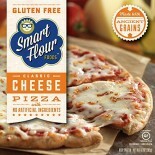 Attributes: Gluten Free, Kosher, Natural or Organic IngredientsIngredients: Organic Rice Flour, Filtered Water, Organic Tomato Puree, Soy Cheese-Mozzarella Type (Filtered Water, Expeller Pressed Canola Oil, Tofu [Soybeans, Calcium Sulfate], Inulin [A Natural Extract Of Chicory], Soy Protein, Agar-Ag.. 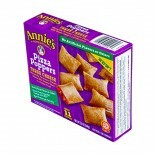 Attributes: Kosher, Natural or Organic IngredientsIngredients: Organic Wheat Flour With Organic Wheat Bran, Filtered Water, Part Skim Mozzarella Cheese, Organic Tomato Puree, Organic Extra Virgin Olive Oil, Honey, Sea Salt, Expeller Pressed High Oleic Safflower And/Or Sunflower Oil, Yeast, Spices, O.. 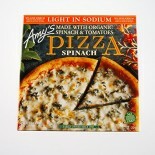 Attributes: Contains Refined Sugars, Natural or Organic IngredientsIngredients: Organic Tomato Puree, Organic Unbleached Wheat And Whole Wheat Flour, Reduced Fat Mozzarella Cheese (Pasteurized Part-Skim Milk, Culture, Salt, Enzymes [Without Animal Enzymes Or Rennet]), Filtered Water, Organic Evapora.. 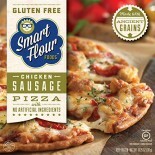 Attributes: Contains Refined Sugars, Natural or Organic IngredientsIngredients: Organic Unbleached Wheat And Whole Wheat Flour, Organic Tomato Puree, Reduced Fat Mozzarella Cheese (Pasteurized Part-Skim Milk, Culture, Salt, Enzymes [Without Animal Enzymes Or Rennet]), Filtered Water, Artichokes, Mus.. 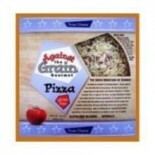 Attributes: Natural or Organic IngredientsIngredients: Organic Unbleached Wheat Flour With Organic Wheat Bran, Filtered Water, Organic Tomatoes, Whole Milk Mozzarella Cheese, Organic Extra Virgin Olive Oil, Parmesan Cheese, Organic Honey, Sea Salt, Basil, Expeller Pressed High Oleic Safflower And/Or.. 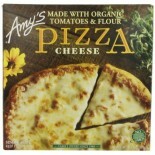 Attributes: Gluten Free, Natural or Organic Ingredients, Wheat FreeIngredients: Organic Tomato Puree, Organic Rice Flour, Whole Milk Mozzarella Cheese (Pasteurized Whole Milk, Vinegar (Gluten Free), Salt, Calcium Chloride, Enzymes [without Animal Enzymes or Rennet]), Filtered Water, Organic Sunflo.. 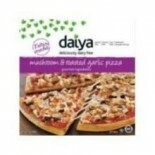 Attributes: Dairy Free, Gluten Free, Kosher, Natural or Organic IngredientsIngredients: (Vegan): Organic Rice Flour, Soy Cheeze - Mozzarella Type (Filtered Water, High Oleic Safflower And/Or Sunflower Oil, Tofu [Soybeans, Calcium Sulfate], Soy Protein, Inulin [A Natural Extract Of Chicory], Carragee.. 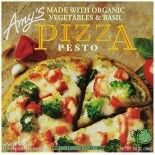 Attributes: Kosher, Natural or Organic IngredientsIngredients: Organic Unbleached Wheat Flour With Organic Wheat Bran, Filtered Water, Organic Tomatoes, Part-Skim Mozzarella Cheese, Organic Broccoli, Extra Virgin Olive Oil, Organic Basil, Honey, Sea Salt, Parmesan Cheese, Pine Nuts, Expeller Pressed.. Attributes: Dairy Free, Gluten Free, Natural or Organic Ingredients, Vegan, Wheat FreeIngredients: Vegan, organic rice flour, organic onions, filtered water, organic sunflower seed meal, artichokes, extra virgin olive oil, organic potatoes, organic fire roasted red bell peppers, organic tapioca star.. 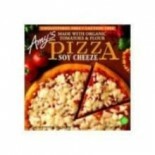 Attributes: Natural or Organic IngredientsIngredients: Organic Unbleached Wheat Flour With Organic Wheat Bran, Filtered Water, Organic Tomato Puree, Part-Skim Mozzarella Cheese, Organic Spinach, Extra Virgin Olive Oil, Feta Cheese, Organic Onions, Organic Tofu (Filtered Water, Organic Soybeans, Niga.. 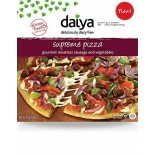 Attributes: Dairy Free, Kosher, Natural or Organic Ingredients, VeganIngredients: Organic wheat flour* with organic wheat bran* and organic wheat germ*, filtered water, organic diced tomatoes*, Daiya™ vegan mozzarella-style shreds [filtered water, tapioca and/or arrowroot flours, expeller pressed sa.. 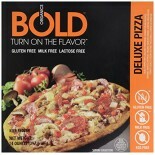 Attributes: Dairy Free, Gluten Free, Natural or Organic IngredientsIngredients: Natural Multigrain Crust: Filtered Water, White Rice Flour, Potato Starch, Buckwheat Flour, Extra Virgin, Olive Oil, Brown Rice Flour, Cultured Dextrose, Fine Milled Ground Flax, Yeast, Evaporated Cane Syrup, Salt , Modi.. 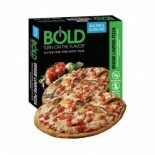 Attributes: Gluten Free, Natural or Organic Ingredients, Non-GMO Project Verified , Wheat FreeIngredients: Filtered water, Follow Your Heart® non dairy mozzarella (filtered water, Non-GMO expeller-pressed canola oil, Non-GMO tofu [soybeans, calcium sulfate], inulin [chicory root extract], Non-GMO so.. 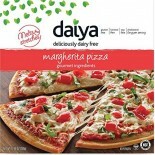 Attributes: Gluten Free, Natural or Organic Ingredients, Non-GMO Project Verified , Wheat FreeIngredients: Filtered Water, Follow Your Heart® Non Dairy Mozzarella (Filtered Water, Non-GMO Expeller-Pressed Canola Oil, Non-GMO Tofu [Soybeans, Calcium Sulfate], Inulin [Chicory Root Extract], Non-GMO .. 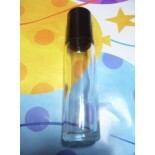 Attributes: Gluten Free, Natural or Organic Ingredients, Non-GMO Project Verified , Vegan, Wheat FreeIngredients: Filtered Water, Follow Your Heart® Non Dairy Mozzarella (Filtered Water, Non-GMO Expeller-Pressed Canola Oil, Non-GMO Tofu [Soybeans, Calcium Sulfate], Inulin [Chicory Root Extract], No.. 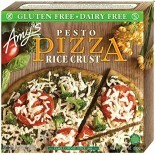 Attributes: Gluten Free, Natural or Organic Ingredients, Non-GMO Project Verified , Vegan, Wheat FreeIngredients: Filtered Water, Vegan Gourmet Mozzarella Cheese Alternative (Filtered Water, Expeller-Pressed Canola Oil, Tofu [Soybeans, Calcium Sulfate], Inulin [Chicory Root Extract], Soy Protein, Ag..
[Chef Anthony Russo`S] All Natural Gluten Free Pizza Chicken Rustica, 10"
[Chef Anthony Russo`S] All Natural Gluten Free Pizza Greek, 10"
[Chef Anthony Russo`S] All Natural Gluten Free Pizza Mulberry, 10"
Attributes: Dairy Free, Gluten Free, Natural or Organic Ingredients, Vegan, Wheat FreeIngredients: white Sauce(white navy bean flour, water, non-GMO expeller pressed safflower oil, sea salt, garlic puree, black pepper, garlic powder, yeast extract), Daiya Mild Mozzarella Style Shred (filtered water,.. 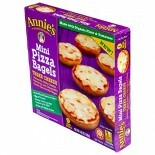 Attributes: Natural or Organic IngredientsIngredients: CRUST: Certified Organic and Kosher Unbleached Vita-Grain Flour with Wheat Germ and Bran Middlings, Well Water, Kosher Sea Salt, Fresh Yeast TOPPINGS: California Mozzarella Cheese (pasteurized whole milk, non-animal rennet, salt), Grana Che.. Attributes: Natural or Organic IngredientsIngredients: Crust: Certified Organic and Kosher Unbleached Vita-Grain Flour with Wheat Germ and Bran Middlings, Well Water, Kosher Sea Salt, Fresh Yeast. 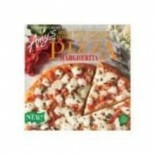 Toppings: California Mozzarella Cheese (Pasteurized Whole Milk, Non-Animal Rennet, Salt), Our Own Slow-.. 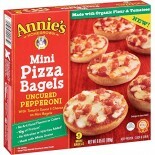 Attributes: Natural or Organic IngredientsIngredients: CRUST: Certified Organic and Kosher Unbleached Vita-Grain Flour with Wheat Germ and Bran Middlings, Well Water, Certified Organic Cornmeal, Sea Salt, Fresh Yeast TOPPINGS: California Mozzarella Cheese (pasteurized whole milk, non- ani.. 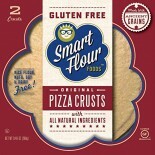 Attributes: Natural or Organic IngredientsIngredients: CCrust: Certified Organic and Kosher Unbleached Vita-Grain Flour with Wheat Germ and Bran Middlings, Well Water, Kosher Sea Salt, Fresh Yeast. 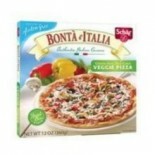 Toppings: California Mozzarella Cheese (Pasteurized Whole Milk, Non-Animal Rennet, Salt), Our Own Slo.. 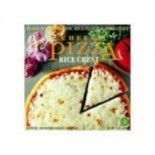 Attributes: Gluten Free, Natural or Organic Ingredients, Wheat FreeIngredients: Mozzarella-Brick Cheese Blend (Pasteurized Milk, Cheese CUlture, Bacterial Culture, Salt, Calcium Chloride, Microbial Enzyme, Cellulose), Water, Corn Starch, Tapioca Starch, Green Peppers, Tomatoes (Tomato Paste, Tomato .. 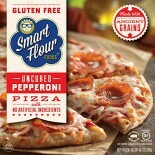 Attributes: Gluten Free, Natural or Organic IngredientsIngredients: Water, brown rice flour, mozzarella-brick cheese (pasteurized milk, cheese cultures, salt, calcium chloride, enzyme), tapioca starch, pepperoni (organic pork and organic beef, sea salt, organic cane sugar, organic spices, organic pa.. 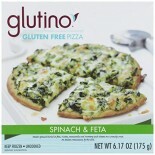 Attributes: Gluten Free, Natural or Organic IngredientsIngredients: Water, Corn Starch, Tapioca Starch, Spinach, Mozzarella-Brick Cheese Blend, Feta Cheese, Ricotta Cheese, Safflower Oil, Sugar, Glucono-Delta-Lactone, Dried Egg Whites, Salt, Guar Gum, Yeast, Garlic, Pectin, Sodium Bicarbonate, Spice.. 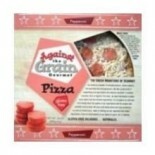 Attributes: Natural or Organic IngredientsIngredients: topping: low moisture part-skim mozzarella (pasteurized part-skim milk, cheese cultures, salt, enzymes), sauce (water, tomato paste, sugar, soybean oil, salt, dehydrated onions, modified food starch, dehydrated spices), pepperoni (pork, beef, sa.. Attributes: Natural or Organic IngredientsIngredients: Crust: Organic Wheat Flour, Water, Organic Quinoa Powder, Yeast, Cauliflower Powder, Butternut Squash Powder (Butternut Squash, Corn Starch, Lecithin), Artichoke Powder, Carrot Powder ((Carrot, Silicon Dioxide ( A Naturally Occurring Element)), .. Attributes: Natural or Organic IngredientsIngredients: Crust: Water, Organic Rice Flour, Organic Potato Starch, Organic Olive Oil, Organic Evaporated Cane Sugar, Organic Tapioca Flour, Fresh Yeast, Organic Quinoa Flour, Cauliflower Powder, Butternut Squash Powder , Artichoke Powder, Carrot Powder((C.. Attributes: Natural or Organic IngredientsIngredients: Crust: Organic Wheat Flour, Water, Organic Quinoa Powder, Yeast, Cauliflower Powder, Butternut Squash Powder (Butternut Squash, Corn Starch, Lecithin), Artichoke Powder, Carrot Powder((Carrot, Silicon Dioxide( A Naturally Occurring Element)), G.. 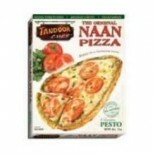 Attributes: Dairy Free, Natural or Organic Ingredients, Specialty Product, Wheat FreeIngredients: Water, vegetable mix (red peppers, yellow peppers, mushrooms, onion, spinach), tomato puree, rice flour, potato starch, mozzarella cheese, potato flakes, psyllium seed husks (vegetable fiber), sunflower.. Attributes: Gluten Free, Natural or Organic IngredientsIngredients: Crust: Smart Flour (Tapioca Flour, Sorghum Flour, Teff Flour, Amaranth Flour), Potato Starch, Modified Tapioca Starch, Sorghum Flour, Water, Olive Oil, Sugar, Agave, Flax Seed, Yeast, Salt, Xanthan Gum, Baking Powder (Sodium Acid Py.. 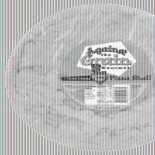 Attributes: Natural or Organic IngredientsIngredients: Topping: Fire Roasted Vegetables (Portabella Mushrooms, Tomatoes, Asparagus), Alfredo Cream [Whipping Cream (Cream, Milk), Pecorino Romano Cheese (Pasteurized Sheep’s Milk, Culture, Enzymes, Salt), Onions, Corn Starch, Vegetable Oil (Canola And/.. 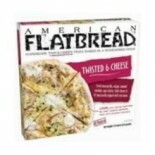 Attributes: Natural or Organic IngredientsIngredients: Topping: Fire Roasted Vegetables (Tomatoes, Red Onions), Pre-Cooked Chicken (Chicken Meat, Salt, Pepper), Low-Moisture Mozzarella Cheese (Whole Milk, Cheese Culture, Salt, Enzymes), Fontina Cheese (Cultured Milk, Enzymes, Salt), Provolone Chees.. 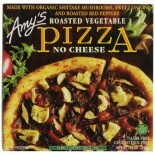 Attributes: Natural or Organic IngredientsIngredients: Topping: Fire Roasted Vegetables (Tomatoes, Red Bell Peppers), Low-Moisture Mozzarella Cheese (Whole Milk, Cheese Culture, Salt, Enzymes), Fontina Cheese (Cultured Milk, Enzymes, Salt), Provolone Cheese (Pasteurized Whole Milk, Cheese Culture, S.. 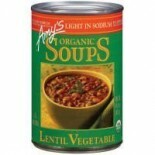 Attributes: Natural or Organic IngredientsIngredients: Topping: Seasoned Vegetable Protein Nuggets [Water, Texturized Vegetable Protein (Soy Protein Concentrate, Caramel Color), Canola Oil, Wheat Gluten, Natural Flavors, Modified Vegetable Gum, Isolated Soy Protein, Dextrose, Caramel Color, Carrage.. Attributes: Gluten Free, Natural or Organic IngredientsIngredients: Paneer Tikka Masala: Tomatoes (tomatoes, tomato juice, salt, calcium chloride, citric acid), water, onions, cream, paneer (milk, part skim milk, vinegar, salt), olive oil, cashews, spices, potassium chloride, milled cane sugar, salt.. 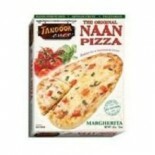 Attributes: Natural or Organic IngredientsIngredients: Wheat Flour, Mozzarella Cheese (Pasteurized Milk, Pasteurized Skim Milk, Salt, Calcium Chloride, Microbial Cultures, Microbial Rennet), Tomatoes, Milk, Water,Sunflower Oil, Parmesan Cheese (Skim Milk, Salt, Enzymes, Cheese Culture), Cilantro, B.. 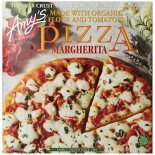 Attributes: Natural or Organic IngredientsIngredients: Wheat Flour, Mozzarella Cheese (Pasteurized Milk, Pasteurized Skim Milk, Salt, Calcium Chloride, Microbial Cultures, Microbial Rennet), Water, Milk, Eggplant, Tomato Puree (Tomatoes, Water), Tomato, Onions, Sunflower Oil, Parmesan Cheese (Skim.. 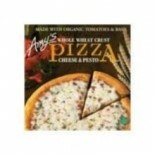 Attributes: Specialty ProductIngredients: Wheat flour, mozzarella cheese (pasteurized milk, pasteurized skim milk, salt, calcium chloride, microbial cultures, microbial rennet), water, tomatoes, jalapeno, onion, milk, corn oil, sugar, salt, dextrose, garlic, basil, sodium bicarbonate, yeast, spices,.. 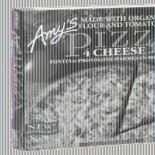 Attributes: Natural or Organic IngredientsIngredients: Wheat Flour, Mozzarella Cheese (Pasteurized Milk, Pasteurized Skim Milk, Salt, Calcium Chloride, Microbial Cultures, Microbial Rennet), Tomatoes, Water, Milk, Onions, Tomato Puree (Tomatoes, Water), Sunflower Oil, Parmesan Cheese (Skim Milk, Sa.. 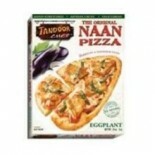 Attributes: Natural or Organic IngredientsIngredients: Wheat Flour, Mozzarella Cheese (Pasteurized Milk, Pasteurized Skimmed Milk, Salt, Calcium Chloride, Microbial Cultures, Microbial Rennet), Water, Milk,Tomato Puree (Tomatoes, Water), Tomatoes, Onions, Spinach, Paneer (Milk, Part Skim Milk,Vineg..